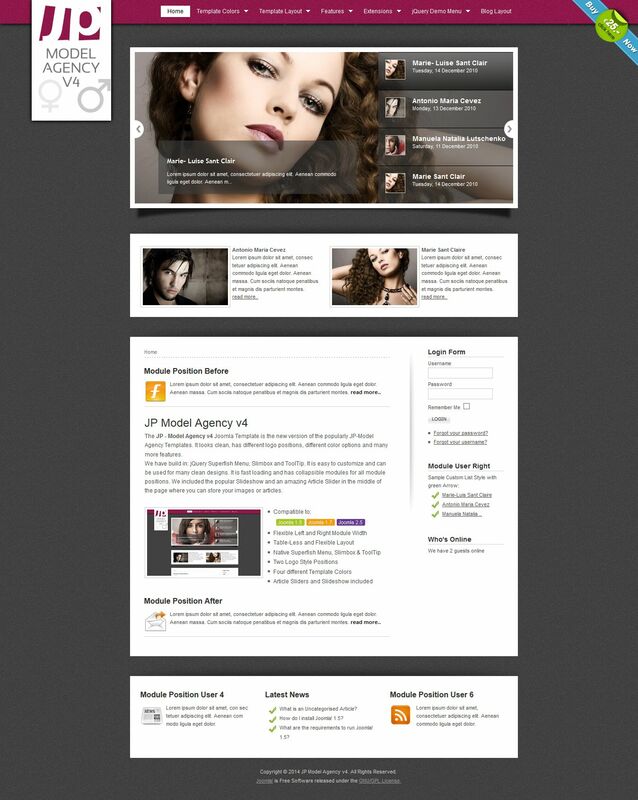 JP Model Agency v4 - elegant women's issues from a template design studio Joomlaplates. Flexible and convenient control panel allows you to edit the template, all visible elements of design layout. Possible settings: type speaker positions, set the background image, background color settings may select one of three color styles, and adjust the width of the sidebars and activation of built-in tools and SlimBox MooMenu. This template has a high speed of loading pages and also has a folding modular design. In the installation package includes popular modules Slideshow and Article Slider, which provides the user with a decent set of tools for the demonstration of any product. Perfect for creating sites on topics of beauty, fashion, cosmetics and jewelry.